An unidentified flying object exploded in mid-air over a southern Vietnamese island, state media said Wednesday, a day after Cambodia’s air force retracted a report of a mysterious plane crash. 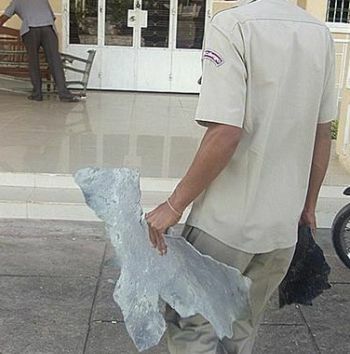 The Vietnam News Agency said residents of Phu Quoc island, 10 km (6 miles) off the coast of the Cambodian province of Kampot, found shards of grey metal, including one 1.5 meters (1.5 yards) long. The man in the picture is carrying a piece of debris found by fisherman in the area of the explosion. Two Australian burglars broke into a house – only to find it full of police officers staging a drugs raid. 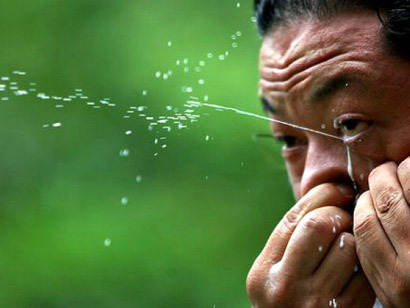 A Chinese man has stunned onlookers by demonstrating his ability to squirt milk out if his eyes. 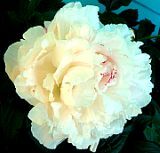 Zhang Yinming drank milk through his nose and then squirted it up to two metres with his eyes. Zhang, from Shandong province, showed off his unusual skills in Nanjing city, the capital of Jiangsu Province. He also used his ears to blow up two balloons at the same time, reports the People’s Daily.